It’s almost that time folks! Are you ready to commit to half a dozen things you’ll probably never do? Every year it’s the same – December we have a blow out (it has been a tough old year, after all) and we make all sorts of grand gestures to “really try this year!” committing to a shopping list worth of New Years Resolutions, kicking off promptly on January 1st. A few items are usually added in when we’re in the throws of a feel-great party with our BFFs, other items are added when we’re in the calm-state of our post-coffee / pre-soiree drinks with our friendly neighbors. MEAL PREP!!!! Every Sunday – Just do it! Get to work earlier – so get to bed by 10pm. Latest 10.30pm. And for at least two weeks this little list does the job and you’ve nailed it! Until February hits… and it all gets dumped in the “oh well. I tried really hard this time. Next” file. Sound familiar? Is it time to give NY resolutions up? It may seem like we’re doomed to fail before we’ve even started. Claims of a whopping 80% failure rate to maintain NYRs beyond February are enough to make you question if it’s worth setting any at all. If our good intentions are literally going down the pan within a few weeks, should we continue to set them? The answer lies in two parts – the list and the timing of kicking it off. There’s nothing inherently wrong with NYRs – the act of setting some goals for a fresh start to a fresh year makes perfect sense. After the busy period of the last quarter of the year – pushing to make business targets, rushing through December’s festivities, taking time to mix and mingle with family and friends, and then – starting afresh in the New Year is logical. It works in the same way as a new personal training client wanting to start their new plan on a Monday. The ingrained psychological methodology of a new week, new routine, is hard to beat and actually I am completely on board with this. The issue with NYRs is more to do with the month that we try to start. January, I’d suggest, is the problem, not the list. The best way to give yourself some hope is to bring your intentions forward a month – and start in December. Yes, December. The busiest, jam-packed, booze-fueled, party-driven month is honestly the best month in the entire year to kick off a NYR drive. Let me walk you through this! Taking a bit of time in early December to establish three key areas – creating a plan; “testing” the plan; tweaking and pivoting the plan – sets you up perfectly for a smooth month, and an even smoother New Year start. This could work perfectly with fitness, for an example. Establishing some metrics around what it is that you want to do about “fitness” for the new year is the starting point. Are you wanting a healthier lifestyle? To tone and sculpt? To lose weight? To improve general fitness levels? To compete in a sporting event? Establishing what your specific goal is helps you to break that down to how you need to train to achieve that goal. This is easy to do in early December. You’re still on full throttle balancing work, home, partner, kids, friends, life, and some, but you’ve not shut up shop yet. This is a perfect time to start slowly and build some early-stage habits. 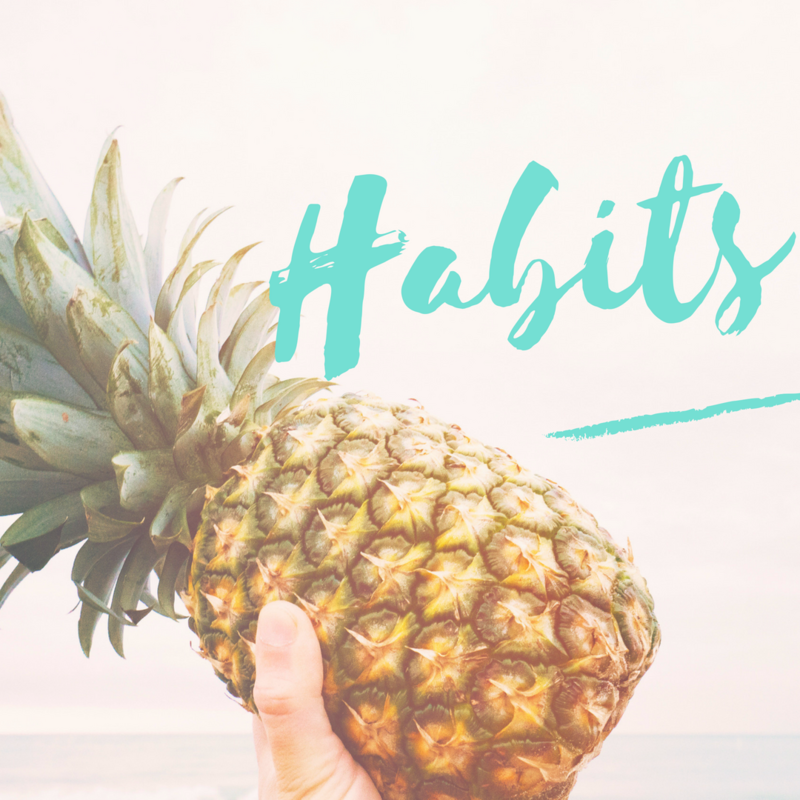 The number one way to succeed in any goal / NYR you set will be in figuring out what habit you need to create and starting the “embed the habit” formula. With fitness this could simply mean that you start with shorter sessions, but with intention. 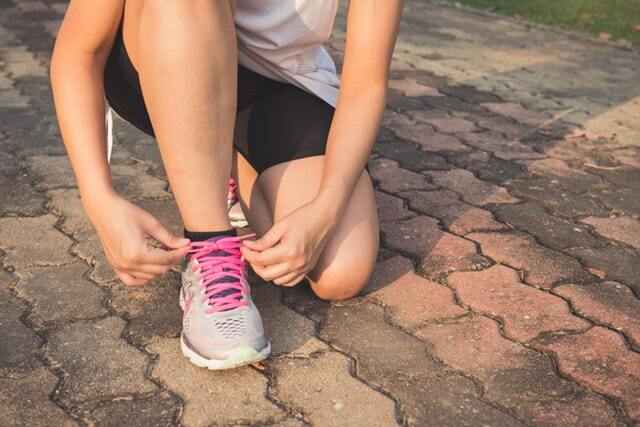 Starting the process at 15 minutes per day – at home – body-weight workouts – before you jump in the shower in the morning – could be something that is bite-sized and manageable. Starting with realistic “actions” triggers one of the critical elements in the habit formula: cue + action + reward = habit. Missing a 15 minute early morning session in week two in December is not as mind-blowing as missing the same in January. It feels okay and recoverable to miss a session and then pick right back up again in December and try again. This is because the expectation and pressure is off. There is no grand announcement made that you’re kicking off your Old Year Resolutions, so the pressure you’d otherwise feel in January, simply isn’t there. All good. No fail here, just a fall. And you get right back up. There is a period of around 2-3 days at Christmas and again at New Year when the tempo of life is raised a notch or two. Sticking to your NYRs when you’re perhaps traveling to see family or eating way more than usual, late nights, early rises… it’s a busy time. The key to sustaining your entry work in December and to remain on the wagon is to set your expectations with yourself. Stick to your early in the day workouts – they don’t need to be at the usual 6am, they can be after a lie in – but don’t drop them. Drink plenty of water – to help with the alcohol consumption – and try to avoid any food that is covered in beige-colored pastry! Getting through December on a wing and a prayer will set you up nicely for January 1st. You’ll arrive with a month under your belt and you’ll be continuing with your new habits rather than trying to kick them off. Strolling into the New Year with the knowledge that you’ve successfully navigated the hardest month of the entire year, gives you the confidence to hit January with renewed vigor – that you can sustain throughout the month. One of the ways to guarantee success is to create NYRs that will add value to your life. When you start to see and feel the benefit of the goal it fires up motivational triggers. These are gold. You need more than good intentions to nail your goals. You need a large dose of motivation – which only comes once you’re seeing / feeling good vibrations. This loops right back to your goals. Setting goals that are meaningful are far more likely to keep you interested and motivated than half-hearted “I’m not that fussed tbh” resolutions on a list. Goals can be fixed but can also pivot. What starts out as getting a fitness structure in your day-to-day life, may suddenly grow to training for the local triathlon. Taking your food and nutrition serious may start as meal prep and evolve into a cooking class every week. Don’t be stuck on achieving the goal and ticking the box – look at the goal as a journey point and as soon as you’re close to achieving it, review and then set a pivot goal. This is a great way to keep you going throughout the entire year. Keep your goals measurable – by your happiness. It’s so easy to get caught up on numbers, stats, figures, weights, times, and so on… why don’t you measure this year’s NYRs through your happiness scale. If you are happy you’re already winning. And that, surely, is what counts. Michelle Caira is CEO and Founder of Fit Mama Fitness, a personal training digital platform for mothers. Its goal is to equip mothers with the fitness, nutrition and mental wellness solutions and tools they need to thrive - at home and returning to the workplace.